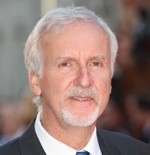 Since the unparalleled success of his Avatar and the plan for two back-to-back sequels, updates on James Cameron’s other sci-fi tale, Battle Angel, have been few and far between. Today, MTV had the chance to speak with the filmmaker and, while the good news is that Cameron is still planning to bring the Manga adaptation to the screen, the bad news is that it’s still quite a ways away. Based on the Japanese Manga by Yukito Kishiro, Battle Angel is set in a cyborg-dominated 26th century, 300 years after society fell to a catastrophic war. The main character is a young girl in a cyborg body who, after being found in wreckage and repaired, realizes that she has lost her memory and doesn’t even know who she really is. When asked whether or not he might step back as a director and let someone else helm Battle Angel, Cameron admitted that he wasn’t about to give the property up.